Reference: Schön, S., Ebner, M., Hornung-Prähauser, V. (2017). 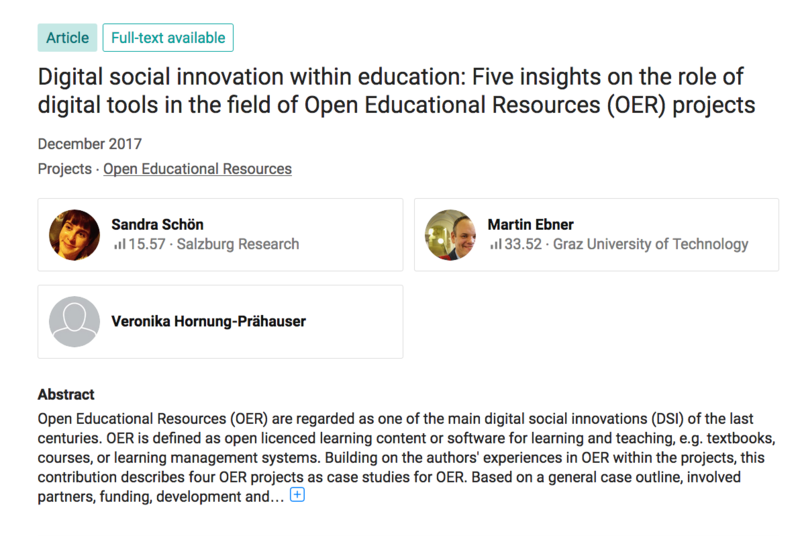 Digital social innovation within education: Five insights on the role of digital tools in the field of Open Educational Resources (OER) projects. In: Nata, R. V. (ed). Progress in Education. Vol. 49. Nova publisher, pp. 167-188. Dieser Eintrag wurde veröffentlicht in English, innovation education, oer, publications von sansch. Permanentlink.